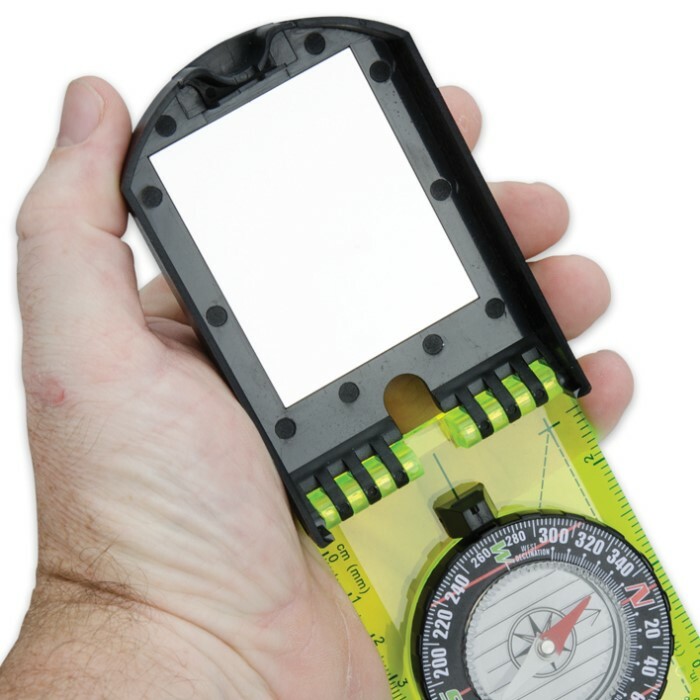 Multi-Functional Survival Compass with Signal Mirror 2 for 1 | BUDK.com - Knives & Swords At The Lowest Prices! 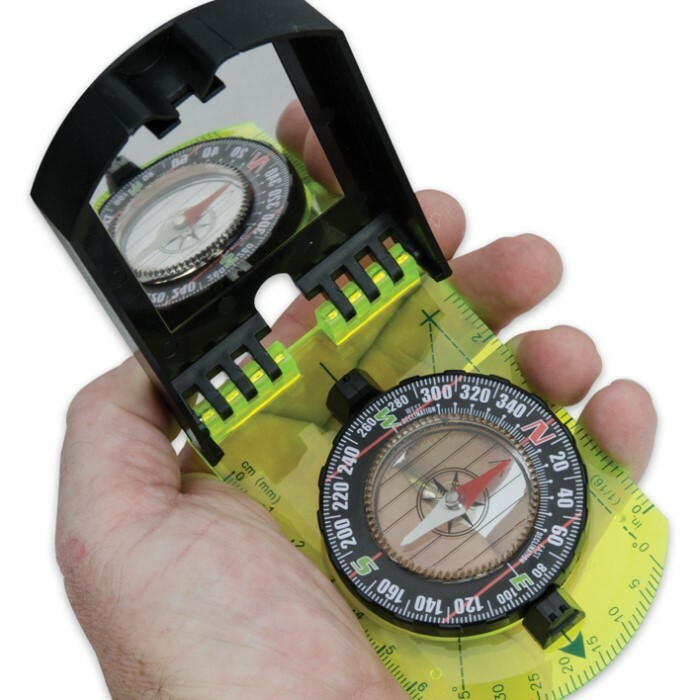 Never get lost again with this multi-functional survival compass! 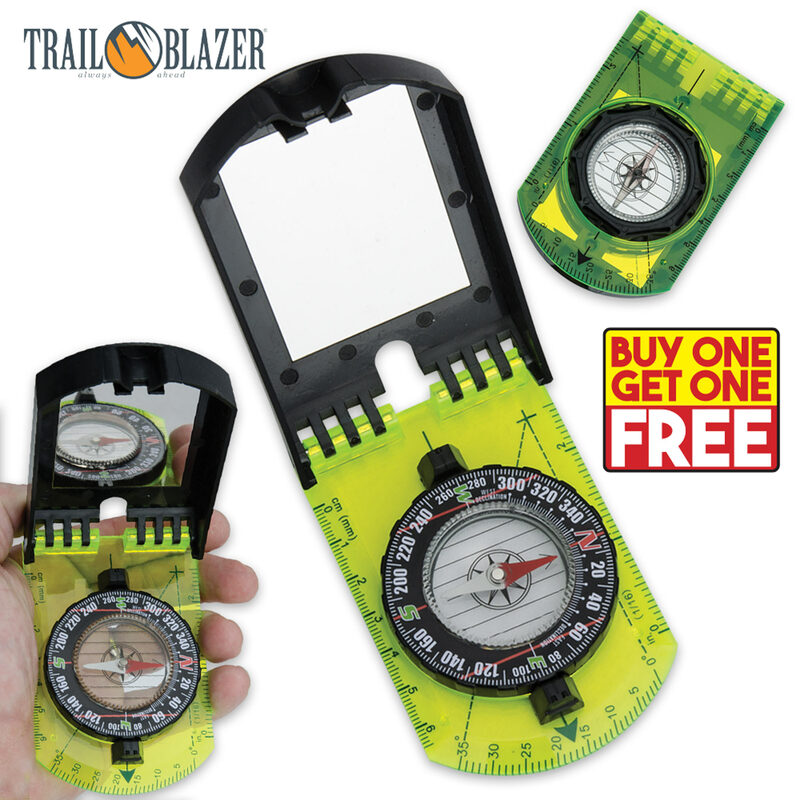 Equipped with a signal mirror, a rotating compass ring, a sighting line on the mirror and a sighting notch above the mirror, this compass is just what you need on your next camping or hiking trip. Cheaper quality but it works good. Mirror could help signal to someone if you are lost or hurt. I have them in my hunting and hiking packs. Was very satisfied with the purchase.it being bogo deal made it even better.